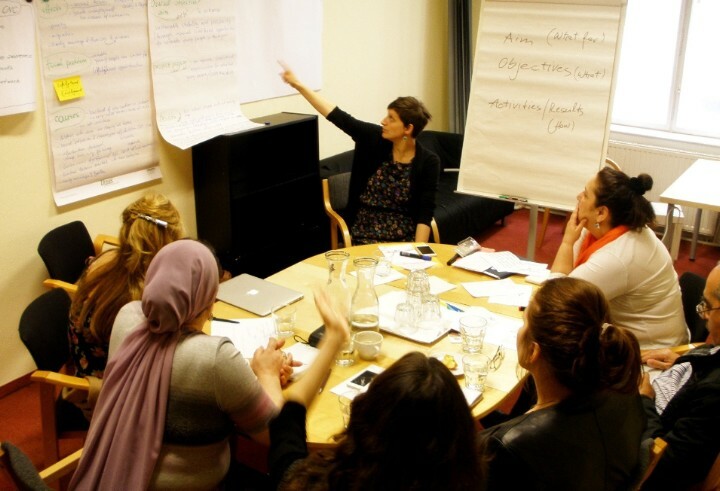 In the second week of May (12-16), 14 members of the Caucasus Network for Children (CNC) convened at Interkulturelles Zentrum (IZ) in Vienna to take part in a 2-day project development workshop and afterwards in the first Board meeting of the Network this year. Guided by the trainers Behrooz Motamed-Afshari and Andrea Hollenstein, nine Network partners from the four CNC countries were working on concepts for future Network projects. They also represented their colleagues from other organizations of their countries who could not attend the meeting. Half a day was dedicated to the exchange of know-how and experience with Austrian NGOs working in the field of inclusion of children and youth into education and labour market. IZ had invited representatives of Wienwork, WUK, Integrative Lernwerkstatt Brigittenau - Schule der Stadt Wien, Integration Vienna and Hilfswerk Austria – who presented their work and projects to the experts from the Caucasus. CNC member organizations learned a lot about the experience of these Austrian NGOs. The also agenda included information on EU funding procedures and policies. Possible calls for grants were introduced to the partners. Moreover, the participants got a chance to refresh their knowledge in project management and received training in the use of the Logical Framework. After two productive working days full of discussion, exchange and planning, the group had worked out basic concepts for two network projects: a project on inclusive education and a project on vocational training for vulnerable children. After two days of project development, the program continued with the Board meeting, attended by eight Board members and three secretaries. During the Board meeting, the strategic plan was reviewed and modified. The working plan for 2014 and a plan for distribution of the work were adopted. The meeting was a good start into the next working round! One evening, all CNC participants were invited to attend a workshop of DanceAbility that was organized specially for them. 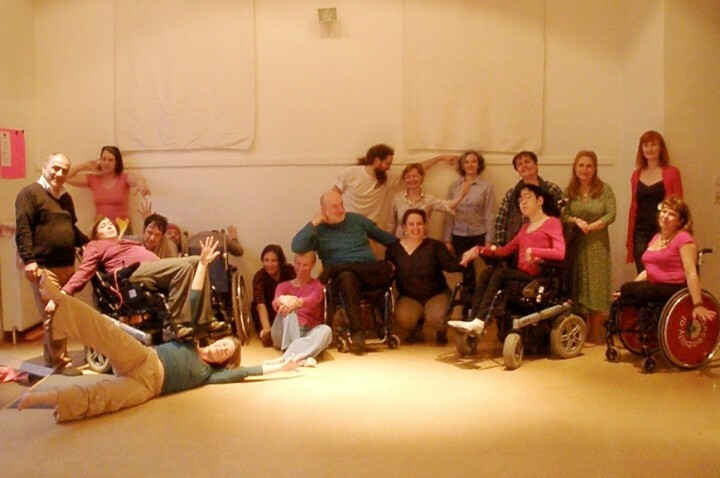 DanceAbility is a method of dancing that is open for everyone – for experienced or less experienced dancers, for people with or without disabilities. The workshop was a unique experience for all participants who got to know for the first time this particular approach to human body and dancing. This was a fantastic and very emotional evening with the DanceAbility club members. I’d like that there would be an opportunity to make this experience in Georgia as well. Disabled people in Georgia are bound to home and only have contact with their relatives. First, I felt little bit confused, because this was the first time that I should dance with persons with disability, but later I recognized that not the disability is the problem, but my feeling and thinking about myself that I am disabled to move, which was so easy for our hostess Vera! Vera and the other dancers were so beautiful and their joint work so effective for the disabled people who are so lovely. Say hello from me to all!